We are experts in Ashley Norton Hardware. As one of the nation's largest dealers, we give personal service to handle the largest of Ashley Norton projects. Send us your house plans or detailed takeoffs and we will help you in getting your selections 100% correct and make recommendations for you home. 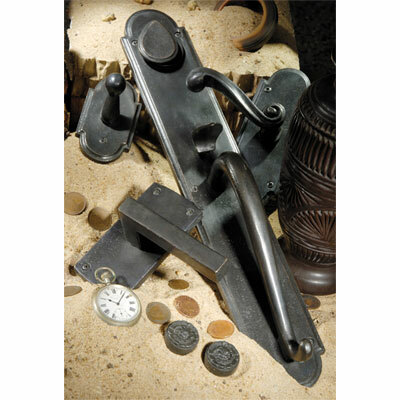 Whether you desire the subtlety of the English Crafted Solid Bronze Collection or the beauty of the Solid Bronze Collection, DoorHardwareUSA has the Ashley Norton hardware you want. We offer the complete line of Ashley Norton Hardware. If you cannot find what you need on our website, just contact us by phone, fax or email with your items and we will send you a detailed estimate. You may also add your items to the "Comments" section in our shopping cart at checkout. Delivery time for Ashley Norton Hardware is 2 weeks if in stock, can be 4-8 weeks depending on what is ordered. 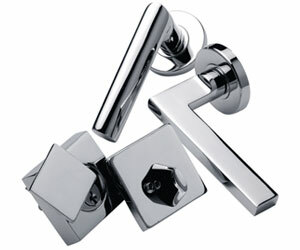 We offer the complete line of Ashley Norton Hardware. Visit AshleyNorton.com manufacturer website. If you cannot find what you need on our website, just contact us by phone, fax or email. You may also add your items to the "Comments" section in our shopping cart at checkout. Ashley Norton offers three finishes. Dark Bronze, Medium - Light Bronze or Black . Our two hand applied patinas give our hardware a naturally aged appearance. Once installed, the effects of age, climate and touch will work in conjunction to create unique, contrasted color variations. Our "standard" Dark Bronze (BZ) patina is featured throughout in our product range, and allows for the greatest uniformity of shade. We aim to stock the most common items in our line in the dark bronze patina. Products in our Light Bronze (LT) patina are hand finishes in small batches. Each batch will be similar in hue, however different batches may have slight variance in tone. These variations make each product unique, and are not considered a defect in the product. Finally, Ashley Norton offers a matt black Powder Coating Finish (TC) to create a look emanating from Tutor architecture around Stratford upon Avon, England. This unique finish is created by applying a powder coat of black paint on our dark bronze finish. Please note that the powder coat is susceptible to chipping, however the finish may be restored by applying a fresh coat of black paint. Shop Ashley Norton Door Hardware for the complete line of Ashley Norton Hardware.